Home » UK » How to migrate to UK on UK Student Visa ? Have you ever planned to study abroad? Then, choosing study in UK is the best and excellent choice. UK Government is offering excellent high quality educational courses with skilled and experienced staff to the native and overseas students. There exist a number of reputed universities and colleges across the UK. Overseas nationals to study in UK need to obtain a student visa for UK. 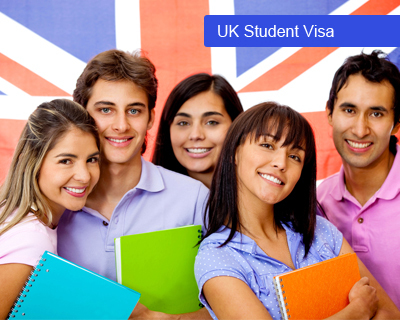 UK Student Visa allows overseas nationals to take up higher education courses in UK. Based on the individuals’ nationality, period of stay and course of study in UK, they need to select and apply for an appropriate student visa for UK. Overseas nationals who wish to pursue their full time degree in UK need to apply for the UK Tier 4 Student Visa. Below are the UK student visa requirements which the individuals must meet to obtain. Duration of course should not continue beyond six months for academic courses and 11 months for English language courses. After meeting the necessary UK student visa requirements applicants should fill and submit the application form either through online or offline. They need to pay the tuition fee to the institution, subsequent to which Confirmation of Acceptance for Studies (CAS) will be issued to the applicant. After obtaining the CAS, they should produce all the required credentials. Soon after the successful completion of UK student visa process visa will be issued to the applicant. The UK student visa processing time will be varying for varied individuals. It is subjected to the change. Most of times the processing time of UK tier 4 student visa will depend on the clients’ profile. People who wnats to get UK student visa fill out MoreVisas Enquiry Form, you can also Follow Us @ Facebook, Google+, LinkedIn. ← How to Obtain your US Student Visa ?